Interesting. This was a little confusing. Not sure many fans will want to be talking facilities with the current state of football. 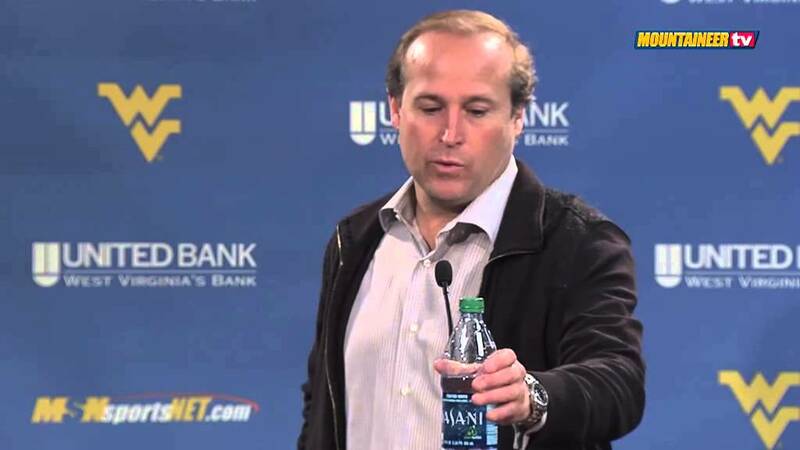 West Virginia University football coach Dana Holgorsen addressed members of the media Tuesday in his weekly press conference. There’s a list, and I don’t think I’m being unreasonable with the requests that I’m asking for. We’re working hard on trying to get out there to raise the money that we need to be able to make some of this stuff a reality. No. 1 was the weight room, and we got that accomplished. You have to be able to meet appropriately, which we can’t. And you need to be able to practice appropriately, which we can’t. That is where we’re headed. That would be awesome. Everyone says we don’t have the space because we live on a mountain, well that’s not true. We have the space, and we use that practice field six times per year. What are we doing? You shouldn’t have to practice on your game field. Nobody else does. So we have the space, and we need to be able to utilize it. And the only way with the climate and the maintenance, the only way to do it is with a turf field. So that’s in our plans. It’s all about being able to raise the appropriate funds to be able to pay for it. I think (grass fields) are very overrated. If we’re going to play on real grass, you don’t have to practice on real grass. It’s just about having a proper surface to be able to get your work done. And if it’s real grass, that’s fine. I’m comfortable with it as long it holds up. But right now that grass can’t hold up. If you’re on it when it’s wet, then you’re tearing it up and you can’t use it. You’d have to blow it up. If you want to use it the way people want to be able to use your indoor facility, then safety is key. You need runoff, you need proper length and if you want to do the kicking game in there then you need it to be a little higher. It’s dysfunctional. We use it for some offseason stuff, but it needs to be a bit more functional.